Hello ABC readers, how was your weekend? I brought something different but classic for you today. Getting social media shares has been one of bloggers challenges; we all want our contents to go viral and reach the world but weren’t getting it right. I believe you’re all with me? I believe you know that it’s incredibly demotivating when you took your time to put contents together, promote it, and still people didn’t share it across the social media. Now the question that comes to our minds is “Haven’t I written quality post”. You have, but just that you aren’t taking the right channels and approaches. Some few weeks ago, I went to harleena’s blog to read up some contents because I love reading her blog, most especially when I’m kind of down emotionally. And what I saw there was thrilling. I saw the way people shared her post across the social media. You can see the screenshot of one of her post below. Do you think her name sound familiar? 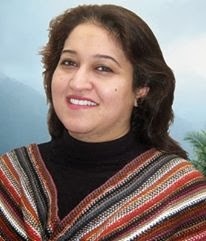 Harleena Singh is an inspirational blogger, a freelance writer, a comment super star, and the editor-in-chief of aha-now.com, where she teaches and mends emotional traumas and personal development with her words and experience. You can also connect with her on Facebook and twitter. Back to our discussion, when I saw the way people shared her post; I was motivated to have a chat with her, that how does she arrived at getting those huge and fat social media shares. We talked at length anyway, and she shared with me the secrets she has been using. So I decided to share also with my readers and to whom will be reading this post, enjoy as I’ll be sharing harleena’s secret of getting social media shares. Actually I’ve been so lazy with typing latterly but I just have to put this tips together before it get cold. On the other side, these huge and fat social media shares will definitely increase your blog traffic. You can see some of her post that has very fat social media shares below. An amazing result comes from publishing the right contents at the right time. Harleena said you need to publish the right content. You can’t be an inspirational blogger and start chipping in tech tips. I believe as a blogger, we all have and I’ve chosen our individual niches which our readers know us for, so any deviation may cost u damages. On the other hand if you don’t publish the required content, then you should know that you’ll struggle to earn any shares across social media. Your content needs to be detailed enough for your readers to get something from it rather than just passing out ordinary information. One thing is that your readers don’t need ordinary information; all they want from you is extraordinary contents that can solve their challenges. Harleena’s blog is a solution palace for personal and life development, I remember when she publish a post on how to find true love, everybody wants true love and looking at her core value for the blog, she never deviated from personal and life development posts. Therefore I’ll advice you to keep posting the right contents that speak your blog’s language. Recently, I learnt something from her that you need to know the right places for your blog promotion. Lots of bloggers are in many wrong places which at the long run, not yielding a good result for them. She didn’t stop at that, she mentioned that she was lifting her posts with tags (Harsh tags). Now you see the power of using harsh tags. And these places should be where there are related blogs to your niche. Something happened to my traffic just a week ago, I’ve been hearing of G+ communities but never used it. What I did that very week was that I searched for communities that are in my niche and I joined. I shared my posts and make sure that I commented and added +1 on every post in the first 10 persons. By the end of the week, I started receiving double of my traffic in a steady fashion. The lesson behind this short experience is not only about spamming the communities your link, but also sharing other’s links and be active… people will also do that for you. We need to know that as humans, we love people that are grateful. When a fellow blogger shared your post and you showed that you are grateful, he or she would want to do that again. In fact not only bloggers, also your readers love it when you appreciate them. I little sign of gratitude can take a man to a great height. I have no tricks on hand and no one else to thank, other than my loyal readers, and dear fans. Also, make sure after you share your posts, and receive the likes or re-shares, and the comments, on these social media sites like FB, Twitter, G+, and Pinterest – ALWAYS thank those people. It’s because of them that you are being recognized, and your posts are being shared further…that’s expressing gratitude, so never forget to do that. Yes, it might take time, but they too have spent time reading your posts and like and share it further, it’s the least you can do for them, isn’t it? I guess this word shouldn’t be new to you. What I mean is that you do onto others what you want them to do to you. If you want to start receiving massive social media shares, then try and become a sharing superstar too. Lol! When you cultivate the habit of sharing other people’s post, they will definitely do such for you. this is no trick but normal principle of life. Mr Joseph of bizsuccessguide said that “Sharing is caring”, therefore if you share other’s materials it shows that you care about them, and which they’ll do the same for you. Triberr is such a wonderful platform to make your blog post go viral. It doesn’t only increase your blog traffic, but also gives a lot of social media shares. I’ve tried using it on several occasions and the result has been marvelous. One good thing about triberr is that it allows you to create tribes, just like a small enclose group of like- minded people and in there you can put your articles right at their door steps. One thing you need to learn from Harleena is to build loyal readers. By building a loyal reader, they will share your post whenever you publish often. And not just ordinary post, like I said earlier in the post… extraordinary contents that meet the demand and expectations of your readers. So how can you build loyal readers? 1. Engage with them by responding to their comments very fast on your social media and your blogs. If you see the way harleena hand her pages, then you’ll know what it takes to build a loyal reader. Conclusively, I’ve shared the tips and tricked used by Harleena to get her fat social media shares, so what are you waiting for? I believe you’ve learnt one or two things that you have to put in place in your blogging career. Lots of bloggers are so lazy at promoting posts, believe you’ll start today. 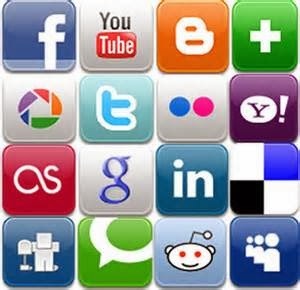 Before you go, I’ll like you to share this post with your wonderful friends and followers on social media who you think are finding social media shares difficult to get, and also don’t forget to sign up for our daily updates to see what your friends like. What has worked for you and what hasn’t? I’d love to hear more in the comments below. Even though not really "secrets", but her techniques of getting social media shares can certainly help anyone achieve some or even similar type of results, but of course only if implemented. It's not enough to just know, one has to DO too, just as she does. Thanks for sharing this information, really useful and I am currently working on it. Thanks again for this info. Thanks Kingsley for the great contribution, and also JASS, for your observation. I noticed and infact, it is well known now that social media has been the order of the day, and even also with it you can get the right audiences that you want.